A note from Guitar Noise: Owing to events beyond the control of the author, Guitar Noise failed to post this review in a timely manner. It may seem a little strange that we are just now posting a review of the 2015 product line when there is already a 2016 product line on the shelves. Nevertheless, we feel the research and diligence that went into reviewing this controversial guitar line was important enough to share at any time. Our sincere thanks to the author for his patience, and apologies for the lateness of the post. When Gibson unveiled their 2015 product line in the fall of 2014, there was a tsunami of both questionable and negative reaction from guitarists who decried the radical changes Gibson had made to their product line; a wider, flatter “shredder’s” neck profile, a brass zero fret adjustable nut, the hologram of Les Paul waving on the back of the headstock and the childish scrawl of Les’s autograph on the front of the headstock. But the biggest complaint was the addition of the G-Force automatic tuning system that was installed on nearly every production line Gibson with a few notable exceptions, including the latest iteration of the venerable Firebird, the Memphis series, and the Derek Trucks signature model SG. 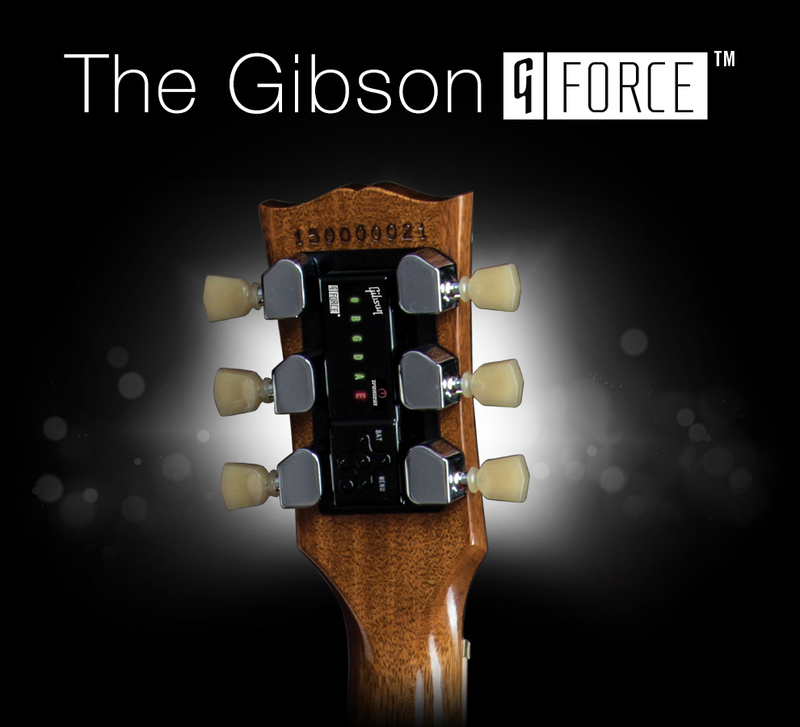 The G-Force is an updated and improved version of the Robot Mini-Tune system Gibson began using a few years ago on select models. And now, the G-Force is standard fare on almost all Gibson guitars whether we want it or not. Couple these drastic changes with a whopping twenty-nine per cent price increase. If one were to read the overwhelmingly savage and negative reviews on Internet guitar forums and Blogs, you might get the impression that Gibson’s management team was about to be tarred, feathered and run out of Nashville for the blasphemous changes that had been made. Guitarists seem to be incensed that Gibson would forsake its traditional designs and force unexpected changes down the public’s collective throat. In a spirit of fair and honest reporting, let’s take a look at each change, as well as some of the reactions from players and dealers. Let’s start with the biggest topic of controversy, the G-Force tuning system. 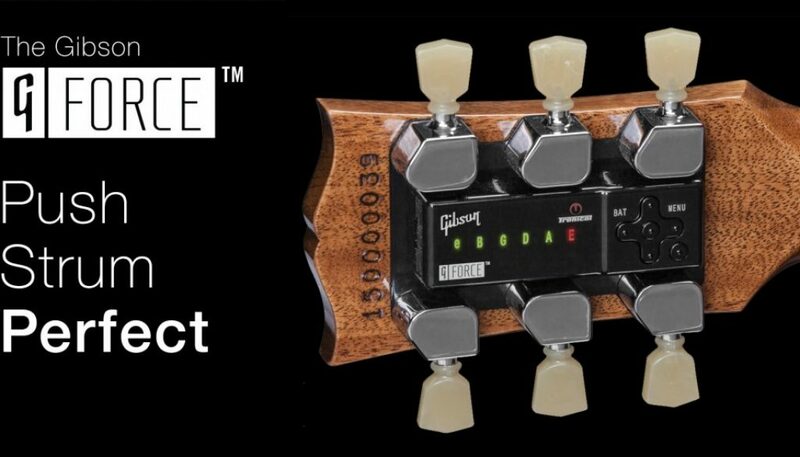 In layman’s terms, what this means is, The G-Force system will tune your guitar to standard pitch and selected alternate tunings on the fly, and is also programmable, meaning the guitarist can store his or her own tunings. Fine, but does it work? Yes…and no. After three failed attempts at obtaining a guitar from Gibson’s marketing department for review (the person whose voicemail I spoke to never returned my calls), this writer played a dozen 2015 Gibson Les Pauls and SGs after reading the accompanying two-page G-Force manual. In most cases, the G-Force performed well and tuned the guitar to pitch after a few strums. On at least four of the guitars, the G-Force failed to tune either the low or high E strings. After plucking the offending strings individually over and over, they finally went into tune, all except for one Les Paul I played at a Guitar Center. In this case, the low E string failed to tune at all, and had to be hand tuned the old-fashioned way. The gears are a staggering 40 to 1 ratio, by the way. That’s a lot of cranking. What all the guitars had in common was an unfortunate inability to stay in tune. After two or three minutes of normal to vigorous playing and string bending, every single guitar went severely out of tune. Not one would hold a tuning, forcing me to turn on the G-Force repeatedly to watch and listen to the gears whirl and whiz as they did their duty. Gibson has stated that the G-Force is easy to remove, allowing installation of conventional tuning gears, an easy modification. 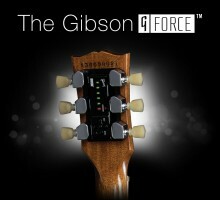 What Gibson perhaps doesn’t want you to know is, if you remove the G-Force, you will void your warranty. And what if the G-Force breaks, as it is likely to do at some point? That question remains unanswered for now. Score so far: G-Force tuning system, a solid D.
Now, let’s address the new wide, flat neck profile. Any guitarist familiar with the necks found on Jackson and Charvel guitars back in the ‘80’s will appreciate the new necks on 2015 Gibsons. Shredders will love them. We should mention that Gibson has kept string spacing the same as in the past. Rumor has it that Gibson is aiming its new products squarely at metal players, who would likely prefer a wide, flat neck, but that’s questionable. One should understand that this isn’t the first time Gibson has changed neck profiles. The necks in the 1940’s tended to be a soft V shape. The Fifties necks were a solid, chunky D profile, and in the Sixties, the necks became appreciably slimmer. Neck shapes are a matter of preference, of course. Could I get used to the new Gibson neck? Perhaps, but it would never be my first choice. As far as the adjustable zero fret brass nut, I really have no feelings either way. Other than the fact that it looks a bit industrial, it seemed to do its job well enough, and the guitars I tried sustained very well. I did notice a bit more treble response from the strings. Chances are, I would have very little need to adjust it, unless I was raising the action high to set the guitar up for slide playing. There have been a lot of complaints about the “Les Paul 100” autograph signature on the front of the headstock that commemorates what would have been Les’s one hundredth birthday. The Les Paul signature Gibson has used since 1952 was always an elegant facsimile of Les’s genuine autograph, rendered in an attractive script font. It’s been on every les Paul made for over sixty years. What we have now looks like kiddy-scrawl. It’s unnecessary and unsightly, as is the silly hologram of Les waving on the rear of the headstock, which is lacquered over and impossible to remove without stripping the finish off the back of the neck. Les Paul 100 signature and hologram: F.
There are two other minor new features that can be viewed as positives on the 2015 Gibsons: knurled control knobs that are easy to turn and feel solid in your hand, and detachable pickguards on the Les Pauls that snap into place easily. We’ll give the knobs an A, and the pickgurds a B. The jury is still out on their reliability over time. We should also mention that Gibson has abandoned the standard form fit hardshell cases, and now offer a rectangular Fender type case that frankly looks cheesy compared to the older style cases. And what about the twenty-nine percent price increase? Let’s not even go there. A quick survey of Les Paul prices on Musician’s Friend are as follows: Classic, $2279; Traditional, $2879; Standard Premium Plus, $3399; Standard, $3759. Some custom shop models now tip the scales at $7200. Good heavens. I can’t afford one. Can you? So, let’s add this up; a D, C, two B’s, A and F. Based upon an A being five points, and B being four, the new Gibson guitars score a mediocre seventeen on a scale of thirty. If this was a letter grade, it would be a C, or a 2.17 GPA based on common high school standards. Of course, these are my opinions. On a positive note, here’s a quote from guitarist Dave Jarvis of Vancouver, British Columbia, Canada, who commented on his new purchase, a 2015 Les Paul Junior. “So far I have experienced no problems whatsoever with the new G-Force tuning system on this guitar. It works flawlessly whenever I push the tune button. It usually takes just one strum to bring the guitar up to standard tuning. Every once in a while it will require an individual string pluck to bring one or two strings into tune after the initial strum, but that has so far not been the norm. A prominent east coast Gibson dealer, who did not wish to be identified, was unequivocal about his dislike for the new Gibsons. As I interviewed this dealer in his shop, a customer who was trying out a new Les Paul Deluxe pulled out his credit card and took it home. “That’s the first 2015 I’ve sold so far,” said the dealer with a healthy degree of sarcasm. A large independent Gibson dealer in the Midwest who also did not want to be named chimed in, “These guitars are an unmitigated disaster as far as sales and customer reaction. Our steady customers are aghast. I’ve been a Gibson dealer for nearly twenty years, and let’s just say these guitars are not my cup of tea. I’m a vintage guy, and I can’t understand why Gibson won’t just make guitars for players who want the traditional features. I understand the need to innovate, but this is too much, too fast. I can count the number of 2015 Gibsons I’ve sold on one hand. One guy brought the guitar back to us because he couldn’t figure out how to change the strings. We had to go online and find a manual so we could help him. People are walking by the new Gibsons and are buying other guitars. A sales manager at Sam Ash in Canoga Park, California, Jared Mauck, commented, “I’ve had mixed reviews from customers so far on the new Gibsons. We’ve only sold two so far. People are heading toward the 2013 and 2014 leftovers first. Guitarists seem to either really embrace the changes or they don’t. If it had been my decision, I wouldn’t have made these radical changes on all the guitars at once, but I will say that the G-Force is the best robot tuning system I have seen so far. It’s far better than Gibson’s first Mini-tune system. I think the snap-on pickguard is a very cool thing. That’s been a ‘wow’ factor feature for a lot of people. I’m a Les Paul player and love the 60’s style necks, so the new width would not be my first choice, but we’ve had finger style guitarists who would previously never have considered a Les Paul comment favorably on the neck width. I could get used to new wider neck. I also like the zero fret brass nut. It gives you more sustain. So, there you have it, pros and cons. Guitarists are generally a very conservative lot who don’t take to radical change readily, so it’s no surprise that Gibson’s 2015 guitars have sparked intense feelings. The bottom line is, keep an open mind and try the guitars before you buy. You may be pleasantly surprised and find that Gibson’s innovations for 2015 suit your style just fine. And then again, perhaps you won’t, and in that case, there are plenty of used Gibsons for sale. The choice is yours. Update: It’s been some time since this article was written, obviously. Now, it’s 2016, and what has happened? After unrelenting pages and pages of negative comments and reviews from guitarists worldwide, and severe pressure from Gibson dealers who threatened to stop selling the guitars unless changes were made, Gibson reverted back to 2012 specs on their product line and dropped prices back to a lower level. In doing so, they never admitted their errors (would you expect them to? ), but did what they should have done in the first place; they created a high tech line of guitars featuring the G-Force tuners, and slightly revised and improved version of the brass nut they debuted in 2015 for guitarists who wanted those so-called improvements. The vast majority of the Gibson line is back to “normal” again. The guitars are impressive; I haven’t played a bad one yet. In 2015, Gibson committed the most basic blunder imaginable; they failed to realize that the average guitarist wants his guitars they way they were fifty and sixty years ago. Those are the people who, by and large, buy Gibsons. It’s nice to have Gibson back. I hope you learned your lesson, Henry.